Do you feel like your skin looks dull and tired? and has lost its natural radiance and glow? 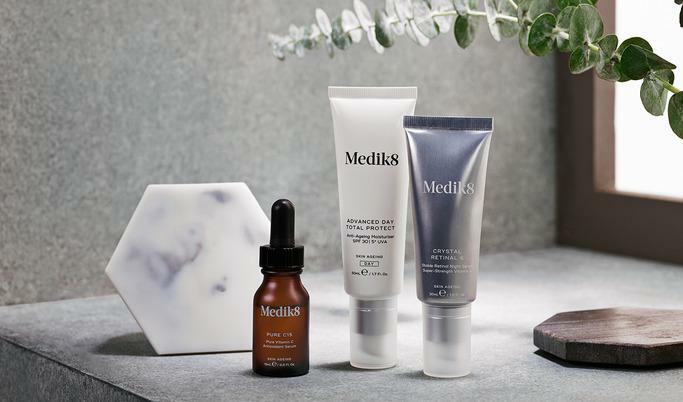 We are pleased to introduce the Medik8 Super-facial a delicate brightening treatment as part of our skin services menu. As we age our skin becomes dull, cell growth slows down and fine lines and wrinkles begin to appear. Exfoliating the skin regularly and removing dead skin cells is very important in maintaining healthy, younger looking skin this is an effective method of safely exfoliating the skin. The Medik8 Superfacial works gently to remove dead skin cells and improve the texture and elasticity of the skin. The skin’s radiance is boosted and skin tone evened out with a blend of eight active ingredients which are selected for their effectiveness yet gentle mechanism of action. The key ingredient is papain, a naturally derived enzyme that ‘digests’ the superficial (topmost) dead skin cells that can lead to the appearance of a dull complexion.